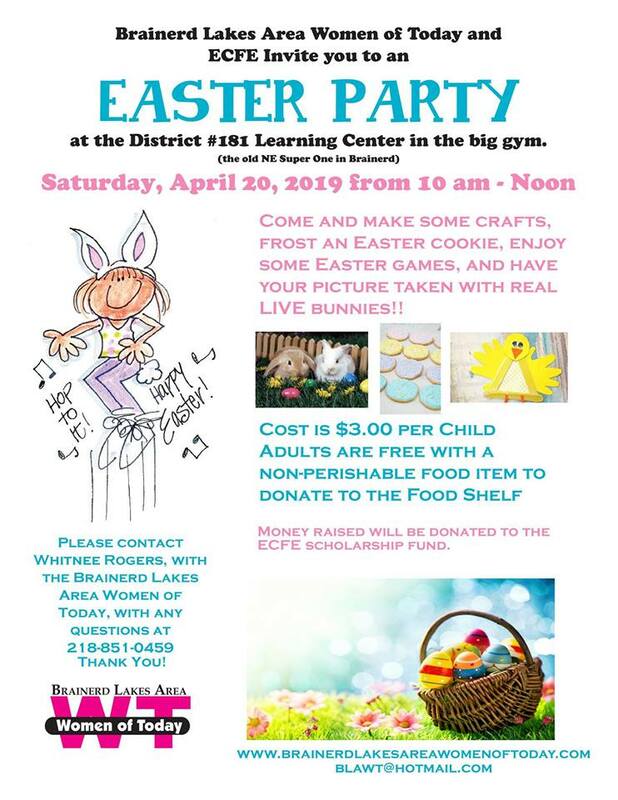 Bring your kiddos to ECFE on Saturday, April 20th from 10-Noon to make crafts, play games, decorate cookies, have their little faces painted and have photos taken with live bunnies! Cost is $3.00 per child, parents are free with a non-perishable food item to donate to the food shelf. Money raised will be donated to the ECFE Scholarship Fund!